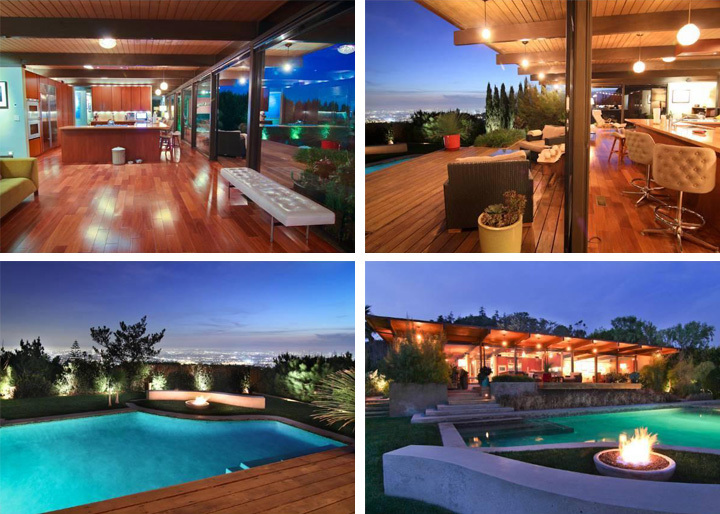 Did Twilight Stud Rob Pattinson Buy a House? Does Anyone Still Yodel or Wear a Hat? 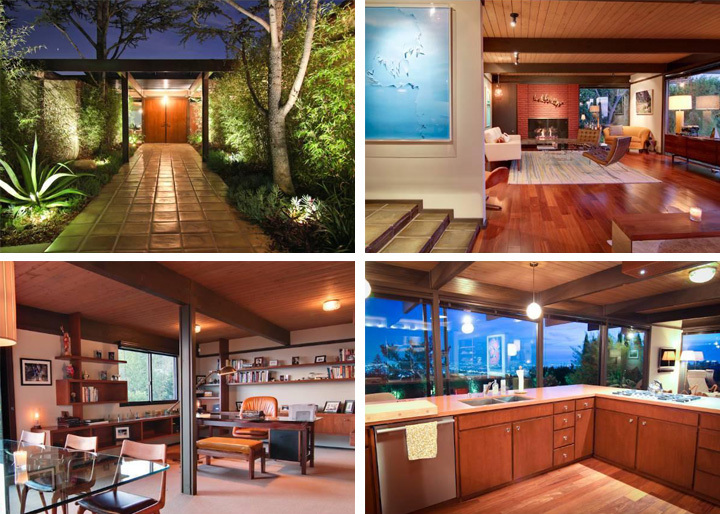 Several days ago Your Mama discussed The Wong House, a low-slung, Buff & Hensman-designed mid-century modern residence in Los Angeles that recently divorced Tinseltowners Ryan Reynolds and Scarlett Johansson purchased for $2,900,000 just a few short months before they split in late 2010 and just this week flipped back on the market with a $3,650,000 price tag. It was whispered to Your Mama this morning by trusted informant Mirakle Mike that ex-Missus Reynolds lived in—or, more accurately, stayed at—the house after the couple busted up. Newly released listing photographs—snapped in a glittering, city-view twilight—show the 2 bedroom and 3 bathroom post and beam abode has been altered little (if at all) since the former couple bought it in August 2010. The long sweep of glass-walled and sparsely furnished rooms along the back of the house—the living room, kitchen, dining area and family room—contain a smattering of not particularly impressive but no doubt punishingly pricey mid-century modern(ish) things that include a teak credenza or two, a couple of classic Barcelona lounge chairs, a glass topped dining table surrounded by some Danish-looking teak chairs with black leather seats, and a pair of tufted leather bar stools in the kitchen area that look to Your Mama like they could have come straight out of The Dresden Room, an old school restaurant/bar-lounge in Los Feliz where the dee-voon sequin-clad duo Marty and Elayne have been warbling and working their high-camp stuff since the dawn of time. Other than the dog food bin in the kitchen, I love it! I hope it falls into the right hands. Those barstools should be sent to Goodwill. Love the house. No floor plan available for this one Mama? Adore the home, the views, the simplistic elegance.... good adult taste for two adults who couldn't make it work in this house. Looks like a smaller version of Aniston's "Ohana" residence. Shortly after their marriage in 2008 they purchased a house for 2.8 million. I presume this is not that one; How long did they stay there? You say this one was bought in August of 2010. A short marriage and even shorter stays in houses. Odd even for Tinseltown, I would think.